2016 diaries at the ready, thanks. Laneway organisers have today confirmed the all-important dates and venues for the 2016 edition of their evergreen annual festival experience. 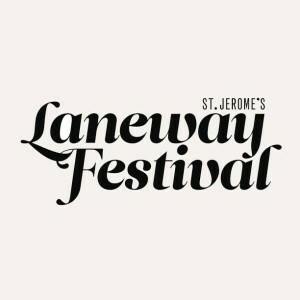 As far as the venues are concerned, it’s all steady as she goes, but Adelaide will kick off the local Laneway run for the very first time; the festival once again taking over Harts Mill in Port Adelaide on Friday February 05. From there it’s onto the Brisbane Showgrounds, Sydney College Of The Arts, Footscray Community Arts Centre in Melbourne, before finally making its way to Esplanade Reserve and West End in Fremantle on Valentine’s Day. The line-up isn’t too far away either, due to drop in just two weeks time (Tuesday September 22). Ticketing information is also to follow.